I often say "kindness makes the world go round". It's become my mantra. When I started Uncommon Threads two years ago, I vowed "no mean girls allowed". I wanted to create a special place for women where kindness and compassion live. 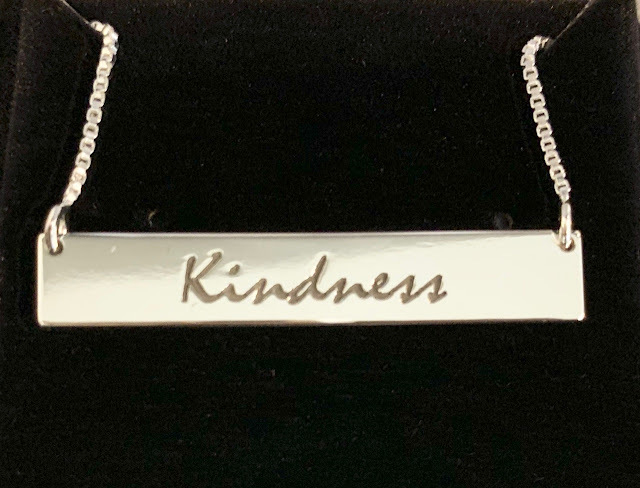 So when Messages in Metal asked me to choose a necklace to feature on my blog, I knew I wanted a piece inscribed with the word "kindness". Messages in Metal believes in celebrating the words and messages that weave the story of our lives. 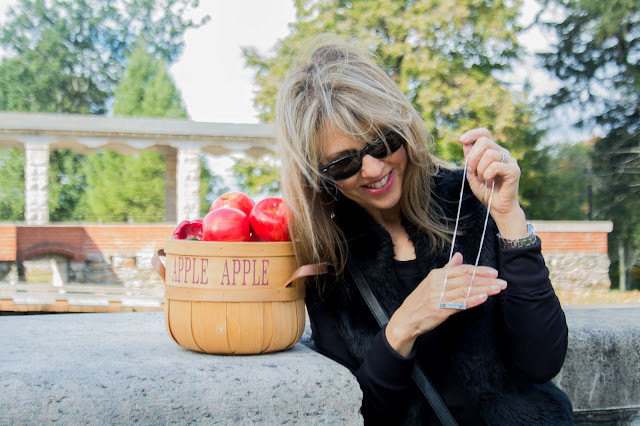 I chose a simple silver bar necklace, but the sky is the limit--the possibilities are endless! You can create a personalized piece with a name (or names!) or a special word---you can even add birthstones! But if you don't find what you're looking for, Messages in Metal will also do custom work too. I can already think of several pieces that will make perfect holiday gifts for my family and friends! 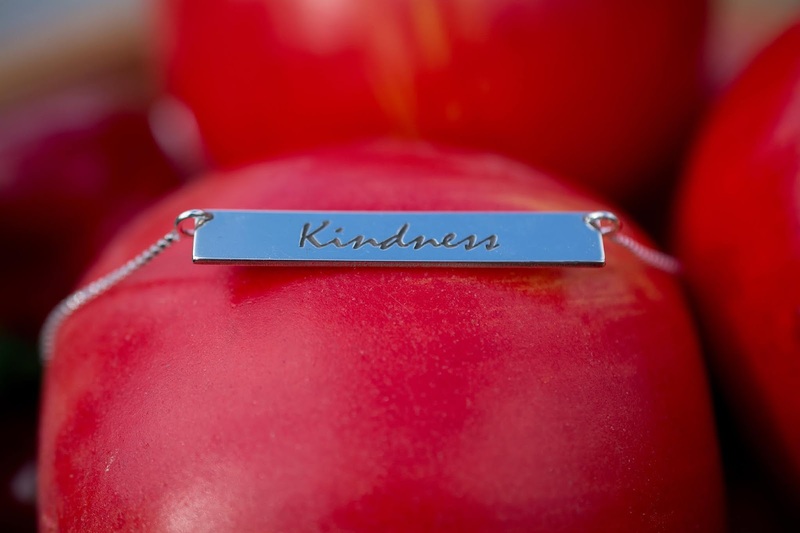 Messages in Metal also carries necklaces for men and children and their pieces come in gold or silver. They have everyone on your shopping list covered! 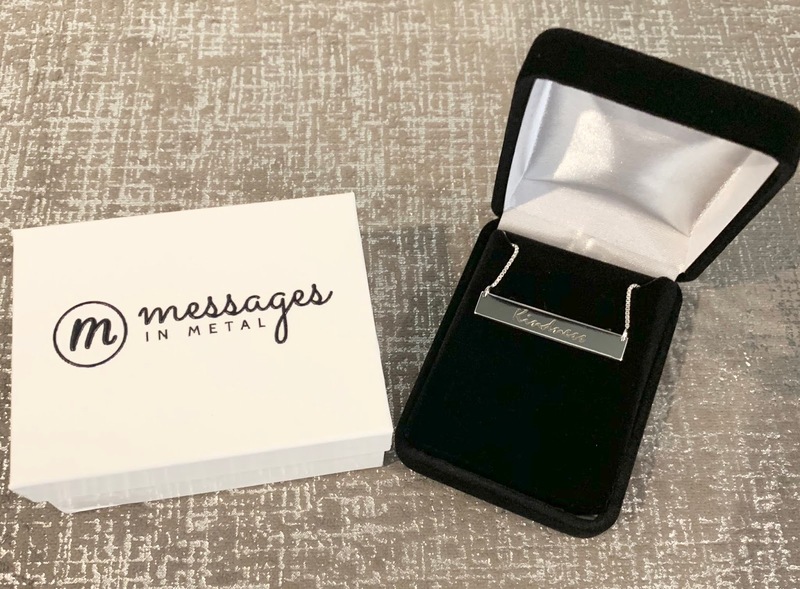 Messages in Metal is an amazing company that makes their jewelry in-house in the United States (Montana)--hurray for supporting U.S. workers! Each piece is beautifully packaged and carefully inspected. Quality and integrity is very important to them. Their jewelry is crafted from .925 sterling silver which is 1mm thick (exceeding the industry standard) and includes a gorgeous chain. Plus most pieces can be shipped out within a few days! Their packaging is beautiful too. 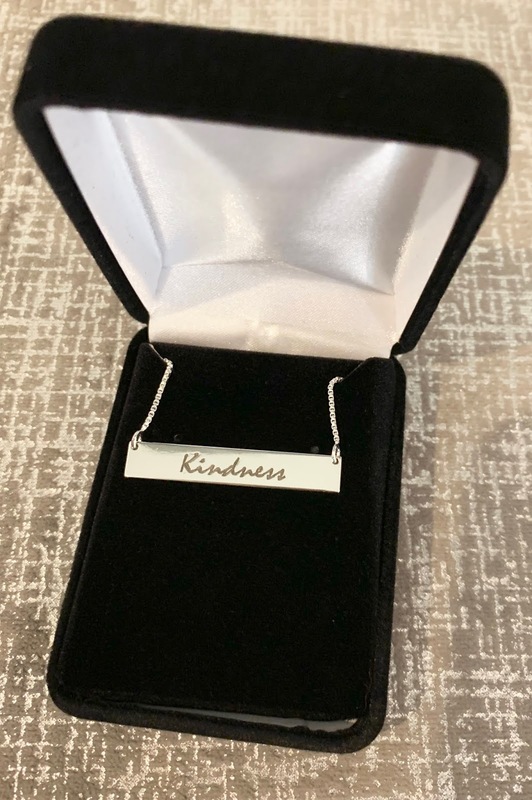 I love my "kindness" necklace so much. 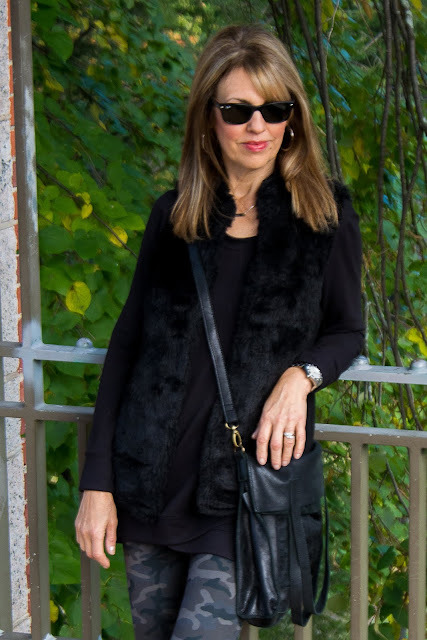 It's perfect worn on its own, but it also makes a fabulous layering piece. 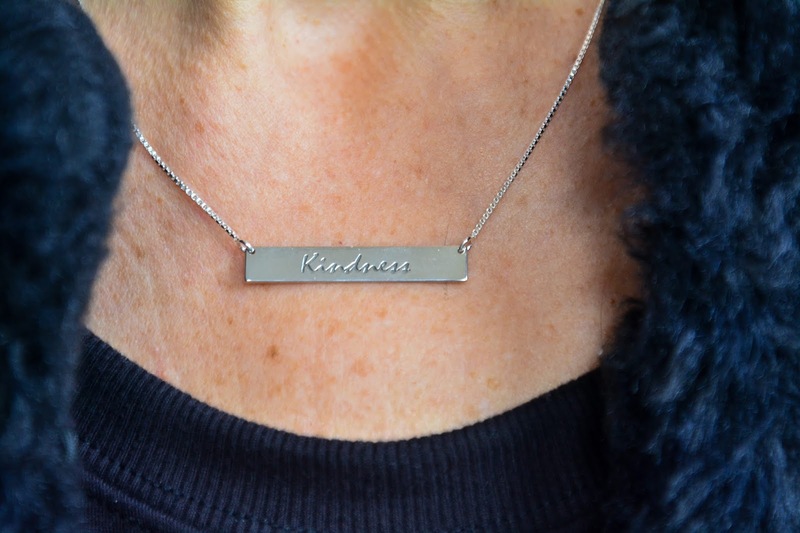 This necklace has become my "go-to"--I wear it with just about everything. 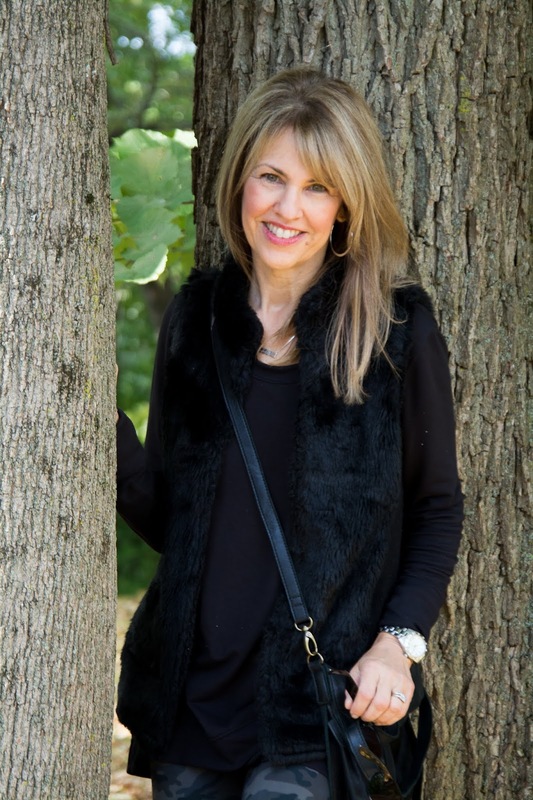 Outfit details: camo leggings, boots, faux fur vest. 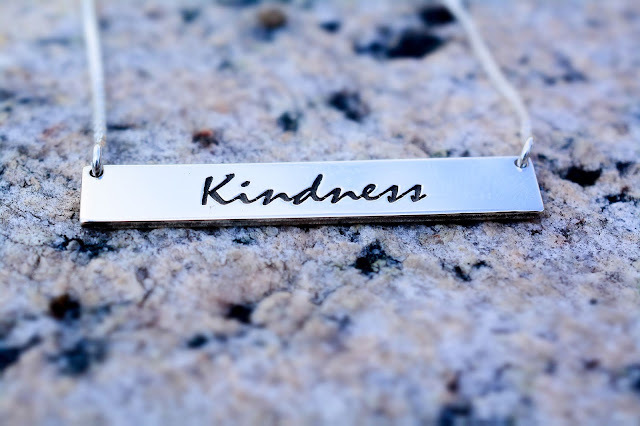 When I wear this necklace I hug everyone and everything. Thank you Messages in Metal for helping me keep this message close to me at all times. View the Message in Metal collection here. Messages in Metal sponsored this blog, but rest assured I only post what I love and I LOVE this amazing company!